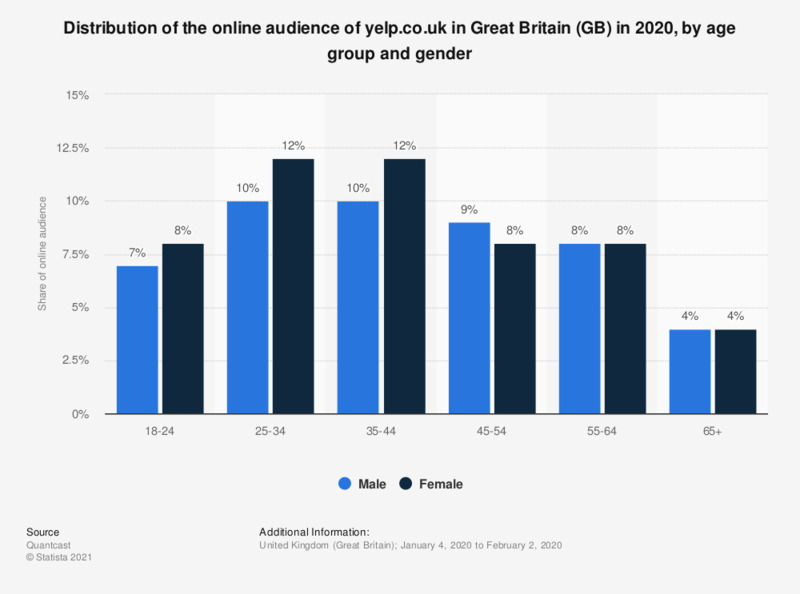 This statistic displays the distribution of the online audience of yelp.co.uk in Great Britain (GB) in 2018, by age group and gender. In 2018, eight percent of the online audience of yelp.co.uk were males aged between 25 and 34 years. How long after you visit Yelp do you typically make a purchase from a business you found on Yelp?